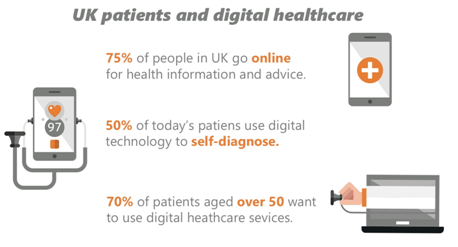 UK, in the last few years has suddenly seen an upsurge in the usage of mobile healthcare apps. Developing into a vivid ecosystem, the market is dynamic and has holds potential in terms of growth and expansion. With more and more people in the country inclined to using healthcare apps, the business opportunities in the mobile healthcare industry has practically doubled overnight. What has actually brought about this disruptive change in the market? Its the result of a collision between the fast paced digital industry and relatively slow moving healthcare sector. However, with positive adoption of healthcare apps in the market has encouraged a steady growth over the last five years. New technologies combined with innovative business models have added new workflows that has transformed the healthcare sector totally. Giving life to mobile health solutions are the stakeholders from within the health industry. Through advancements in technology, healthcare app development is accelerating at a tremendous pace. Holding a lot of promise, evidence suggests that apps are going to play a positive role in patient outcomes along with minimising costs of patient care. With over 318,000 healthcare apps in the market, the growth has been substantial. This figure has nearly doubled from number of healthcare apps in 2015. Latest figures suggest that approximately 200 apps are now being added on a daily basis. The global healthcare mobile app development market is at a projected value of US$ 28.320 billion. It is expected to increase to a whopping US$ 102.35 billion by 2023. An increased adoption of smartphones, along with heavy investments in digital health are the driving forces that has fuelled this growth. The research conducted by Accenture shows that a strong use of digital technology is prevalent, and the numbers are on the rise every year. To the majority of respondents, managing their help with technological assistance was important. A key element that is highlighted through this research is the range of mobile technology in use encompassing health records, social media, wearables and online communities. From just 16% in 2014, the consumer numbers have doubled to 485 in 2018. The survey also established that consumers of healthcare apps are adapting to this transformation simply because they wish to avail of care, anytime, anywhere. Medical Economics says in its report that almost 79% of consumers will probably choose a provider that performs interactions on healthcare through their online platforms, either web or a mobile device. On the other hand, Business Wire published that 50% of consumers more likely to leave their current service providers if the competition offered better technology. The primary factor that pushes consumers towards healthcare apps is convenience. Secondary factors such as having access to their patient records, paying bills, filling prescriptions, accessing test results and scheduling appointments tag along. Service providers developing healthcare apps have an opportunity to create marked differentiators by offering modernised services that are technologically advanced and work to satisfy consumer expectations. A continuous influx of new entrants is propelling the digital health market to expand at this phenomenal pace. Research to Guidance states more than 84,000 mobile health apps in the medical, health and fitness markets have been published in 2017 alone. The types of mobile health app publishers have significantly diversified. The difference between traditional healthcare stakeholders offering mobile solutions and pure digital health companies is distinct. Traditional players use mobile health solutions as an extension on their core businesses on the digital front. Digital companies, on the other hand, are purely focussed on mobile products and services. 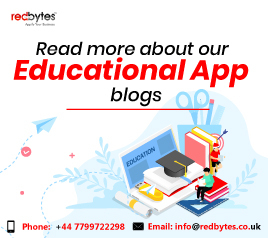 As the market for mobile health apps have experienced such fast-tracked growth, several non-health players, for example, market research organizations, IT companies and app development agencies have been new entrants in the segment. In 2017, the healthcare app market was estimated to reach a staggering 3.7 billion in downloads. This was a 16% jump from the 2016 figures. Nevertheless, competition is brutal and achieving the targeted app downloads is a definite challenge. Not so surprisingly, only 4% of healthcare apps get over a million downloads annually and only 15% get between 50,000 to 250,000 every year. 1.5 billion units of smartphones have been sold globally this year. Add a decade and almost everyone will have a smartphone in their hands. The devices too are going too far more advanced than what they are today. 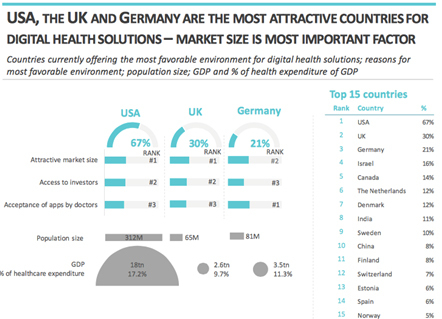 The UK is one of the robust markets for healthcare apps due to their attractive market size, more convenient access to potential investors and acceptance by healthcare practitioners and patients. Diabetes, Obesity and Depression are the top 3 segments that has the best in terms of market potential geared towards mobile healthcare solutions. Having said that, the market potential is largely determined by the therapy whereas in reality the penetration is on the lower end. The number of cases worldwide that have been registered for diabetes, obesity and depression stand at 422 million, 600 million and 300 million respectively. The number of mobile users continue to rise thus creating market opportunities for healthcare apps as a result of the prevalence of chronic conditions. The NHS in UK allocated US$ 148 billion budget towards healthcare of which 70% was dedicated to caring for long term conditions. The healthcare sector in the UK has progressed slowly towards the adoption of healthcare apps. However, with the NHS under tremendous pressure that has led to increased waiting times, patients now have no alternative but to turn to healthcare apps for solutions. The benefits of mobile healthcare apps are not just limited to patients only. Healthcare practitioners too can use them to treat and diagnose multiple diseases at an early stage. The patient data stored on mobile apps accessible to both concerned parties can be used by physicians to make an assessment of the patient’s case history prior to attending to appointments. Converting to healthcare apps from traditional platforms has advantages in terms of cost cutting along with maintaining and enhancing the quality of patient care via the NHS, private clinics and hospitals. However, the industry is not without its challenges.In a time where both public and private sector healthcare establishments are fully stretched, shifting the focus on healthcare apps either fully or partially will provide valuable support and give patients a better understanding of their health conditions.